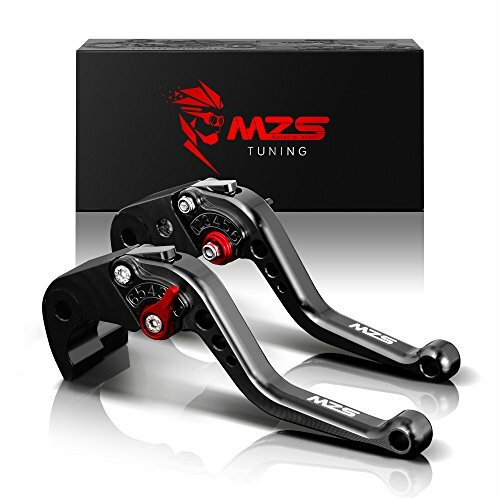 1 Pair Adjustable Break and Clutch Levers, 7/8"
Specification: Condition: 100% Guarantee Brand New Material: Machined from CNC Billet 6061-T6 Aluminum Size: Short Version , 145MM (2 Fingers) Color: Same AS Picture Show Function: 6 button adjustable Package Includes: Levers * 2 (MZS Brand Brake & Clutch levers) + packed with 2 gaskets to adjust space Instructions Included Features: 6 Position Lever adjustable speed button design. Precision Machined Pivot Bore To Ensure A Perfect Fit Direct replacement for stock levers. No modification ! 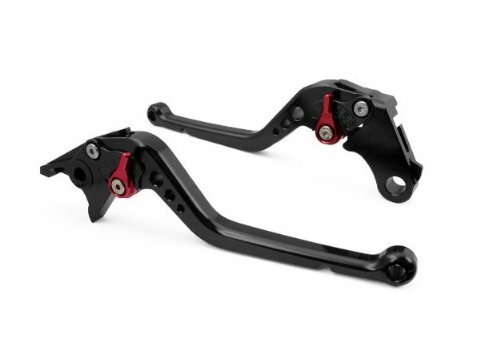 Enhance the look of your motorcycle with these custom hand Levers Easy installation! 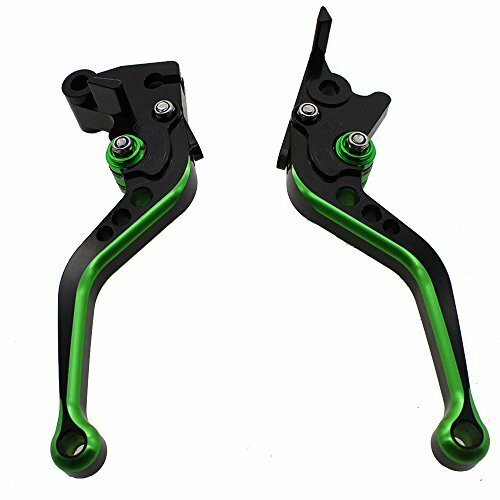 These Levers are great replacement for your old Levers Fitment: Suzuki GSXR600 2011-2018 Suzuki GSXR750 2011-2018 Suzuki GSXR1000 2009-2018 Suzuki GSXS1000/GSXS1000F/ABS 2009-2018 Quality Assurance: MZS value the shopping experience and satisfaction of each customer, so we provides 1 year warranty and lifetime technical support. No matter what the problem , please contact us first, we will do our best to solve any problem for you. 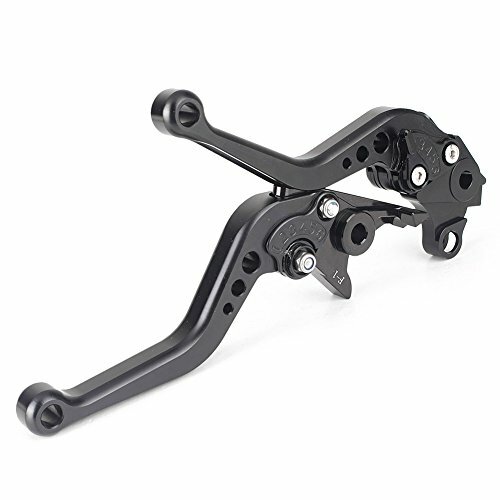 Specification: Condition: 100% Guarantee Brand New Material: Machined from CNC Billet 6061-T6 Aluminum Size: Short Version , 145MM (2 Fingers) Color: Same AS Picture Show Function: 6 button adjustable Package Includes: Levers * 2 (MZS Brand Brake & Clutch levers) + packed with 2 gaskets to adjust space Instructions Included Features: 6 Position Lever adjustable speed button design. Precision Machined Pivot Bore To Ensure A Perfect Fit Direct replacement for stock levers. No modification ! 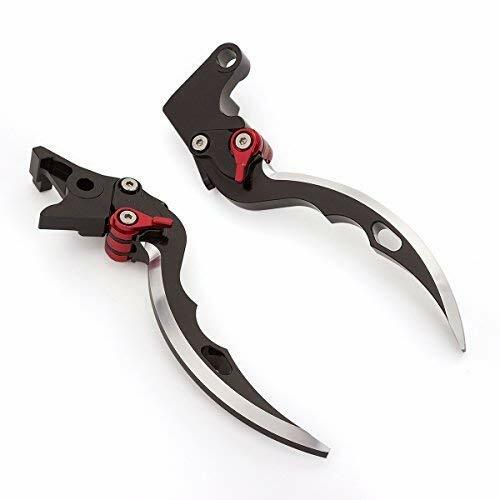 Enhance the look of your motorcycle with these custom hand Levers Easy installation! 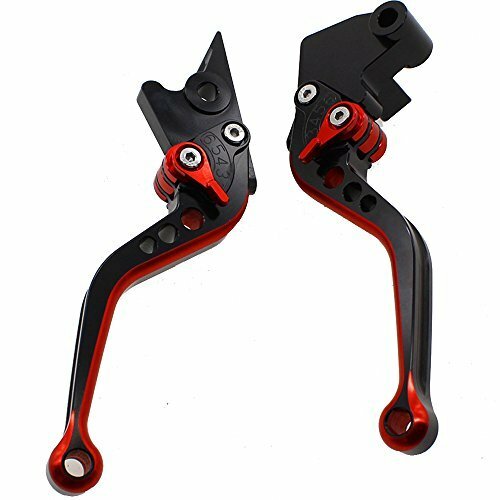 These Levers are great replacement for your old Levers Fitment: Yamaha FZ8 2011-2015 Yamaha FZ6R 2009-2011 Yamaha Fazer 600 1999 Yamaha FZ1 Fazer 2006-2013 Yamaha FZ6 Fazer 2004-2010 Yamaha FJ-09/MT-09 Tracer 2015-2018 Yamaha FZ-10/MT-10 2016-2018 Yamaha XJ6 Diversion 2009-2015 Quality Assurance: MZS value the shopping experience and satisfaction of each customer, so we provides 1 year warranty and lifetime technical support. No matter what the problem , please contact us first, we will do our best to solve any problem for you. 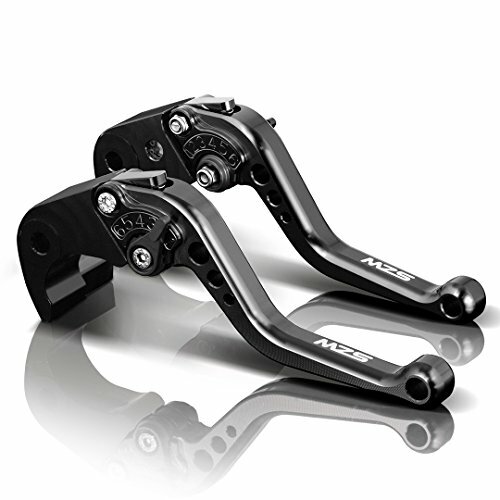 Fitment: --KAWASAKI VERSYS 1000 2015-2018 --KAWASAKI VERSYS (650cc) 2015-2018 --KAWASAKI VULCAN/S 650cc 2015-2018 --KAWASAKI Z900 2017-2018 --KAWASAKI Z650 2017-2018 --KAWASAKI NINJA 650R/ER-6F 2017-2018 Feature: 100 % brand new Material : T6061-T6 Aluminum (High Quality Material, Light grade & Light-weight) Finish: CNC & Anodized (durable and not easy to fade) Color : Show as pictures Length: 147mm/5.7in(3 fingers) Weight: 350 ard to prevent bending or breaking in the event of a crash Note: 1.The lever heads in pictures are different from the orignal levers, because there are too many models of the motorcycles. 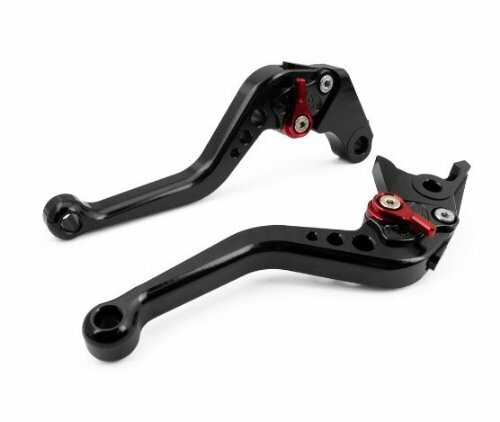 2.Please leave us a note about the model and year of your bike when you payment, we would check for you before send out the item.3.If you wanna the levers, but it don't fit your bike in those listing. Please do feel free to contact us and tell us the YEAR and MODEL of your bike. We would like check for you. About after-sales service: *We are committed unconditional return policy to every value customer for three months. We always try to provide high quality products and best service to everyone. If you have any questions, please do feel free to contact us. * TOOGOO is a registered trademark. ONLY Authorized seller of TOOGOO can sell under TOOGOO listings.Our products will enhance your experience to unparalleled inspiration. 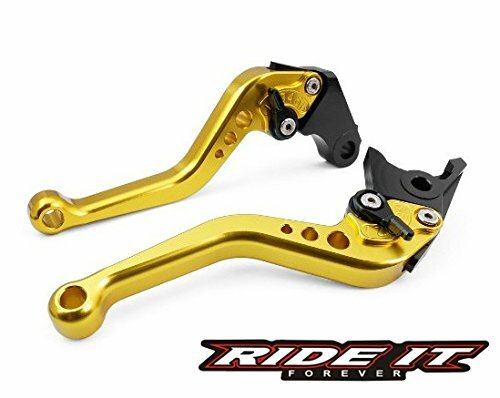 precision machined pivot bore to ensure a perfect fit.Hydraulic and Clutch BrakeadjustablePerfect fit and no modification is needed,no install instructions included.Brand new and very easy installation.Awesome appearance,this levers obviously giving your bike extremely cool modifications!Fitment:For Honda GROM MSX 125 2013 2014 2015Pack content:1 Pair * Motorcycle Clutch handleOnly the above package content, other products are not included.Note: Light shooting and different displays may cause the color of the item in the picture a little different from the real thing. The measurement allowed error is +/- 1-3cm. Color:Black Easy installation, perfect and easy to fit and no need modification.Precision machined bore guarantee smooth movement.Suit For Street and Sport Bikes. 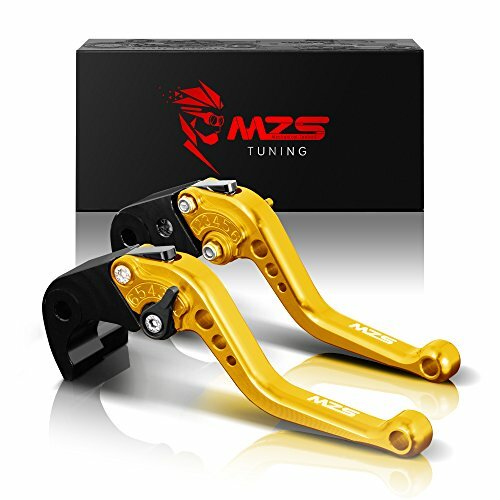 Specification: Condition: 100% Guarantee Brand New Material: Machined from CNC Billet 6061-T6 Aluminum Size: Short Version , 145MM (2 Fingers) Color: Same AS Picture Show Function: 6 button adjustable Package Includes: Levers * 2 (MZS Brand Brake & Clutch levers) + packed with 2 gaskets to adjust space Instructions Included Features: 6 Position Lever adjustable speed button design. Precision Machined Pivot Bore To Ensure A Perfect Fit Direct replacement for stock levers. No modification ! 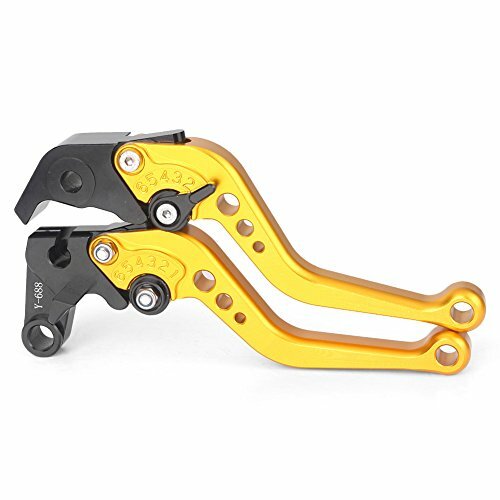 Enhance the look of your motorcycle with these custom hand Levers Easy installation! 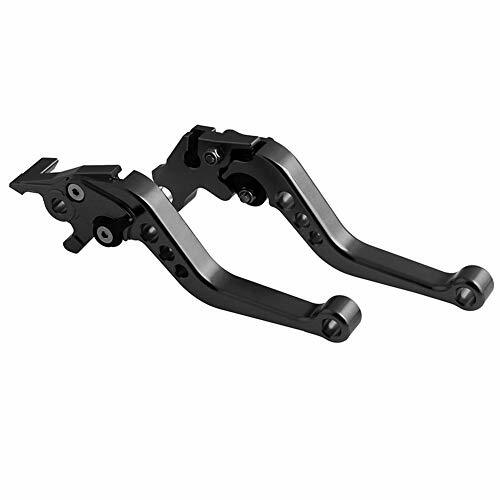 These Levers are great replacement for your old Levers Fitment: Yamaha YZF R1 2002-2003 Yamaha YZF R6 1999-2004 Yamaha FZ1 FAZER/FZS1000/FZS1 2001-2005 Yamaha R6S USA VERSION 2006-2009 Yamaha R6S CANADA VERSION 2007-2009 Yamaha YZF600R Thundercat 1997-2007 Quality Assurance: MZS value the shopping experience and satisfaction of each customer, so we provides 1 year warranty and lifetime technical support. No matter what the problem , please contact us first, we will do our best to solve any problem for you. 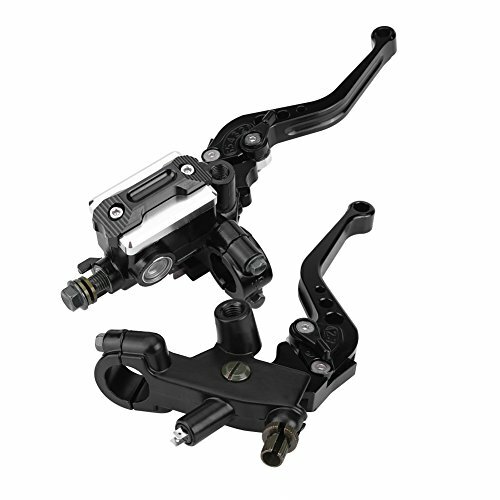 Specification: Condition: 100% Guarantee Brand New Material: Machined from CNC Billet 6061-T6 Aluminum Size: Short Version , 145MM (2 Fingers) Color: Same AS Picture Show Function: 6 button adjustable Package Includes: Levers * 2 (MZS Brand Brake & Clutch levers) + packed with 2 gaskets to adjust space Instructions Included Features: 6 Position Lever adjustable speed button design. Precision Machined Pivot Bore To Ensure A Perfect Fit Direct replacement for stock levers. No modification ! 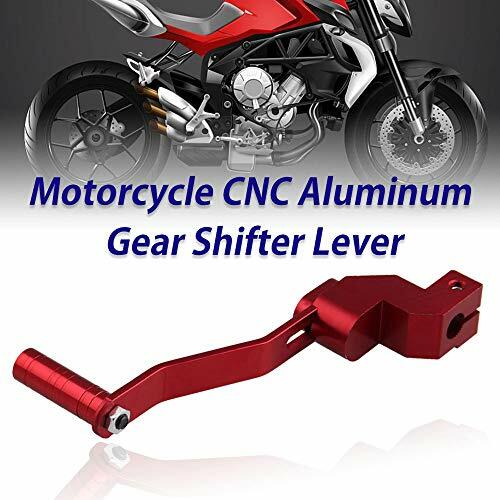 Enhance the look of your motorcycle with these custom hand Levers Easy installation! 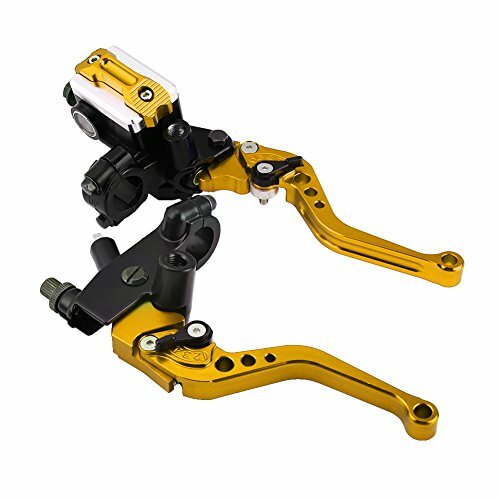 These Levers are great replacement for your old Levers Fitment: Suzuki GSXR750 2006-2010 Suzuki GSXR600 2006-2010 Suzuki GSXR1000 2005-2006 Quality Assurance: MZS value the shopping experience and satisfaction of each customer, so we provides 1 year warranty and lifetime technical support. No matter what the problem , please contact us first, we will do our best to solve any problem for you. 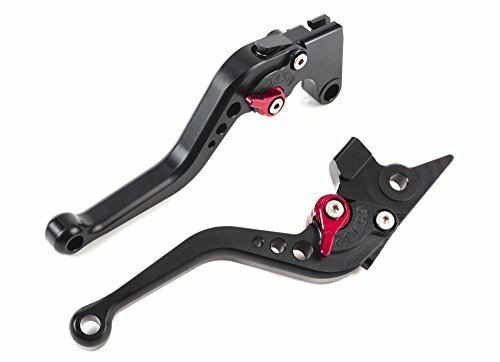 Compare prices on Adjustable Motorcycle Levers at Elevelist.com – use promo codes and coupons for best offers and deals. We work hard to get you amazing deals and collect all avail hot offers online and represent it in one place for the customers. Now our visitors can leverage benefits of big brands and heavy discounts available for that day and for famous brands.